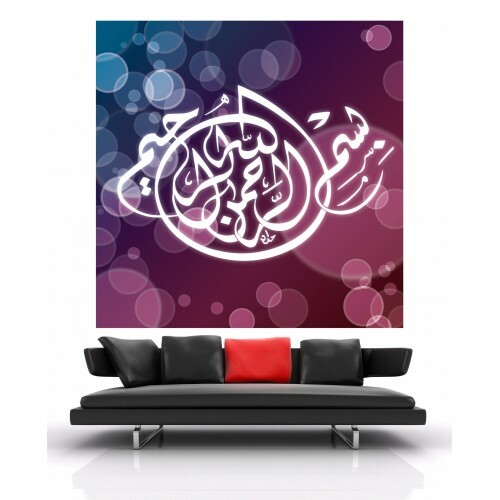 The above Islamic calligraphy Wallpaper is for decorative purposes only. If you are offended in any way, please contact us and inform us why is the calligraphy offensive and possibly advice us on how to use it appropriately. 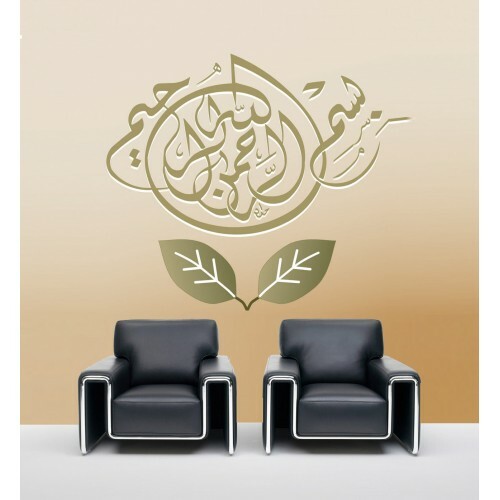 Indoor Wall Paper printing: 1200 dpi * also applicable to cupboards or any flat surfaces. NOTE: When you measure the wall, please take note of the obstruction sections of the wall such as pillars, corners switches, power sockets and hard to reach areas. This is for designing and installation purposes. Contact us for more info. Wallpaper Size: ** The wall paper will have an additional 1 inch extra at the top, bottom, and sides as a standard. If you do not want this, please indicate "Cut to Actual Size" at the remark box. > If you have photographs that you want us to incorporate into the mural artwork, please scan it in Hi resolution (600-1200 dpi) and sent it to us via email. Or you can mail the photographs to us via poslaju. 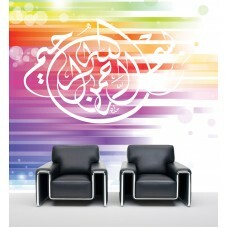 We will scan it and incorporate it into your mural artwork. The photographs will be sent back to you together with the printed items. > Also, if you want certain type of image (such as puppy, cat, car etc) for your mural artwork, email us your request and we will design one for you. Sent your request to mystore@ideazs.com or click here. * If there is any changes, we will contact you to reconfim the date prior to the indicated date. > For outstation customers: We have a panel of installers ready to install for you. Please contact us for a installer near your area. * Installing cost varies from area to area. Please contact the panel installer for the instalation cost before you order the item. > Make sure the area you want to install is free of dust, oil and dampness. > Also make sure the wall surface is not "powdery". Wipe it with your hand, feel and see if its leaves a powder surface on your hand. If it does, you need to repaint it again. Usually a better quality paint will not have a "powdery" residue. Ask you local paint store for advice. Note: Sometimes cracks and patches of uneven surface will make the wall paper to stick unevenly and creates bubble after installing. In such case, we are not liable for a refund, reprint and reinstalling service. We will minimize the forming of bubble during installation process.